Image courtesy of Pixabay user rhysara. This past weekend will forever be remembered by generations as one of the most historical moments due to both the inauguration of President Donald Trump and the rally/march that followed the next day. Saturday’s Women’s March gathered an estimate of 470,000 people, according to The New York Times. 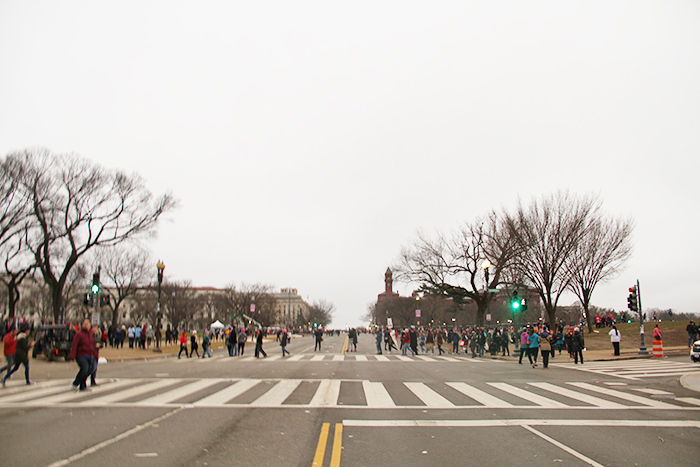 The sheer number of people gathered for the march trumped the number of people who attended the inauguration the day before. CBN News reports that approximately 116,000 people had gathered for President Trump’s inauguration. 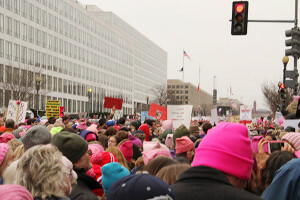 In comparison, the number was doubled (and some estimate it may had been quadrupled) during Saturday’s march. Reports from WMATA, D.C.’s Metro authorities, indicate that 1,001,613 entries were registered on Saturday, whereas only 570,577 entries were registered the day before for President Trump’s inauguration. As The Washington Post explains, these numbers by no means indicate the number of people who attended either event, but they definitely show greater attendance at the march than at the presidential inauguration. These numbers only account for Washington, D.C.’s march. The official website indicates that 673 sister marches took place on Saturday, and in total they gathered well over 4,834,000 people worldwide (perhaps one of the greatest gatherings in the history of the world). 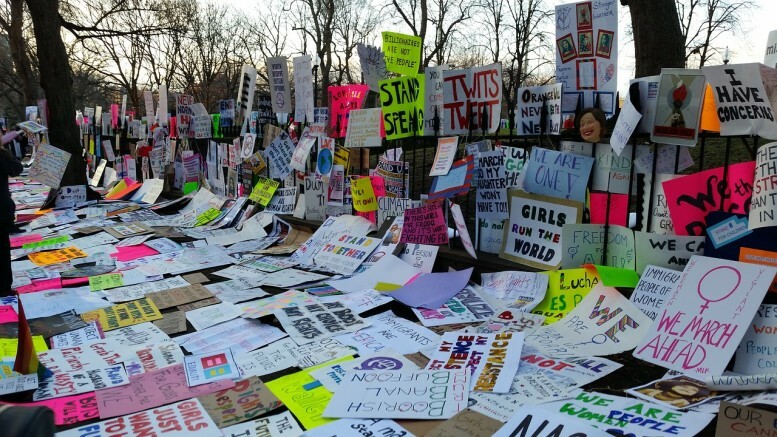 Most of these sister marches took place around cities within the United Stated, including Chicago (with an estimate of 250,00 attendants), Los Angeles (with an estimate of 500,000 attendants), Austin (with an estimate of 50,000 attendants), New York City (with an estimate of 400,000 attendants), among many other cities. However, as the official site shows, sister marches also took place on major cities around the globe such as in Paris, Buenos Aires, Prague, Berlin, Tokyo, Cape Town, among many others. A sister march also took place in Antarctica. Of course, the new administration was not so happy with the amount of media coverage the marches received, claiming that the media had lied about the numbers as a way to overshadow President Trump’s inauguration. He later accused journalists as being “among the most dishonest human beings on earth” for supposedly creating this false information, which was later confirmed true through photographs of both events. 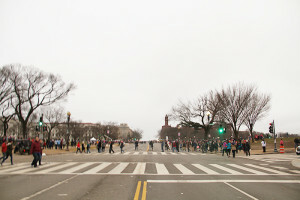 The march originated as an effort to unify those in distress after President Trump’s election, and offered a safe way for these individuals to demonstrate their frustrations with the elections. “We stand together in solidarity with our partners and children for the protection of our rights, our safety, our health, and our families – recognizing that our vibrant and diverse communities are the strength of our country,” states the mission statement of the march. The pain and fear of these communities was reflected on the plethora of posters at the march. The posters included inoffensive counter slogans such as “Love Trumps Hate” and “Marching for Peace” as well as pleas for equality and justice for all minority groups. Although the posters showcased the animosity and resentment towards President Trump, the rally and march went on peacefully. 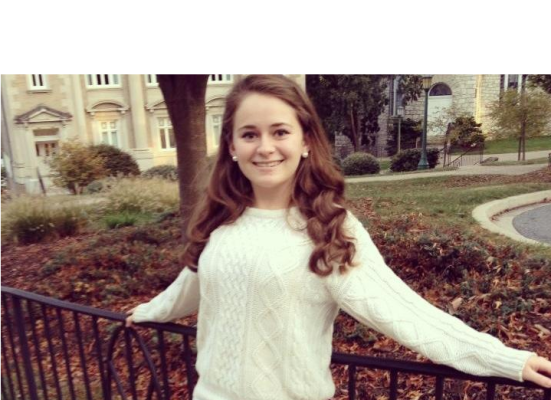 Who was at the march? 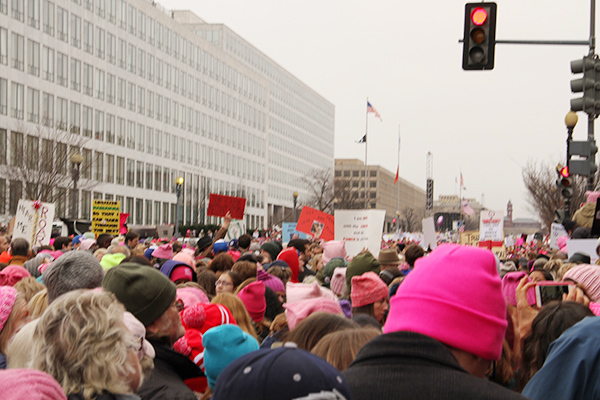 The march included a great number of speakers, including, among the many, Feminist Writer, Activist and Organizer Gloria Steinem along with Washington D.C.’s Mayor Muriel Bowser, who delivered a short yet powerful speech during the event. Mayor Bowser pointed how women are majorly criticized regardless of their position of power. Although she focused on the injustice that comes from the misrepresentation of her jurisdiction, her speech highlighted how “injustice must end” at all governmental levels if change is to happen. Another major and powerful speech was delivered by Artist Madonna. During the rally, she showed her disdain for President Trump’s administration with strong words only the Queen of Pop could deliver.